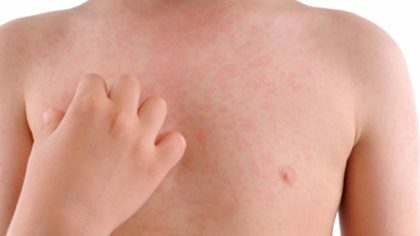 Chronic spontaneous urticaria (CSU) is defined as the occurrence of wheels or angioedema or both occurring on most of the days in a week and lasting for more than 6 weeks, without any identifiable triggers. It is a common problem with a lifetime prevalence of 7.8–22.3%.The current guidelines recommend the use of nonsedating H1 antihistaminics as the first-line therapy. The dosage of antihistaminics can be increased up to four times the licensed recommendations in case of no response to the second-line treatment. Omalizumab, cyclosporine, and montelukast form the third line of treatment in patients who do not respond to second-line treatment. Dr.Shekhar Neema at Command Hospital, Kolkata, West Bengal, India, and colleagues conducted a study to evaluate the effects of omalizumab in chronic spontaneous urticaria in Indian patients.The study was conducted in a tertiary care center and it was retrospective and descriptive in nature.The researchers have found that Omalizumab could be used in patients after failure of third-line therapies.The study has been published in the Indian Journal of Dermatology. Omalizumab is safe and effective for the treatment of patients with refractory chronic spontaneous urticaria (CSU) not responding to other third-line therapies such as an addition of montelukast and cyclosporine. The study also reports that omalizumab may achieve lasting remission in one-fourth of the patients with refractory CSU. Researchers analyzed 24 patients with CSU who failed to respond to updosing of antihistamines and cyclosporine. All patients were administered omalizumab injection 300 mg/month and followed up for 6 months after the last 3 injections. Response to therapy (remission, complete response, partial response, and no response) was recorded using urticaria activity score (UAS) and urticaria control test (UCT). Of 24 patients, 96% showed the complete response to treatment within 1 week of initiation of the treatment. Complete remission was seen in 25% of patients followed by the satisfactory response in 50% and partial response in 20.83%. Average UAS over 7 days was reduced from 24.4 to 4 after 2 weeks of the treatment initiation with omalizumab, and most of the patients experienced complete relief from symptoms on the fourth and fifth day of the treatment. Average UCT scores improved from 6 to 14 in patients treated with omalizumab. None of the patients reported injection site reaction or anaphylaxis with omalizumab. The authors concluded that Omalizumab is a safe and effective treatment for the management of chronic spontaneous urticaria. It can be used in Indian setting after failure to other third-line therapies such as the addition of montelukast and cyclosporine due to a high cost of treatment.“Our finding was similar with results from 3 pivotal studies on omalizumab (GLACIAL, ASTERIA I, and ASTERIA II), which observed that omalizumab 300 mg/month was effective irrespective of background therapy,” the authors said.